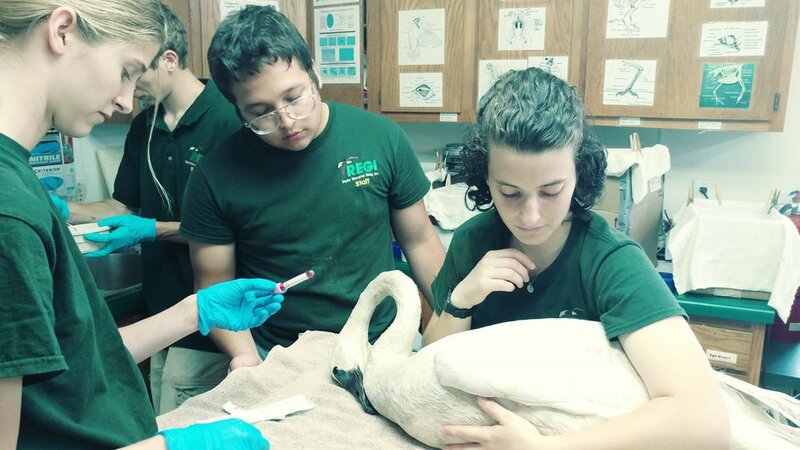 Trumpeter Swan Admitted — Raptor Education Group, Inc.
An adult Trumpeter Swan from Ringle. WI was admitted on July 15th.. Lead poisoning. Treatment underway. She is very weak and emaciated. Thank you to the great folks that helped her by locating her and calling for help. Thanks to Steve and Evie Fisher and Megan and Darrin Ackley and family for doing the search, rescue, capture and transport of this beautiful female. Thanks also to the property residents for their cooperation.